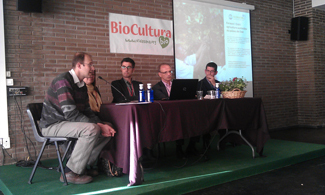 Humana has presented at the fair of organic products and responsible consumption Biocultura, held at the Palau Sant Jordi in Barcelona from 3 to 6 May, their social farming program, which aims to promote social and sustainable agriculture in Catalonia by technical and financial support to various entities of interest. *Amunt.Ebre Empresa d'Inserció : draft processing and marketing of organic food products linked to the inclusion of people at risk of social exclusion. 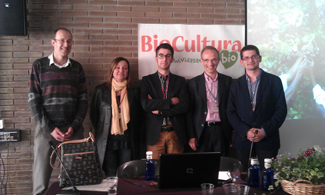 *Punt Eco Agroambiental: draft hortoterapia with people at risk of social exclusion in the city of Lleida. 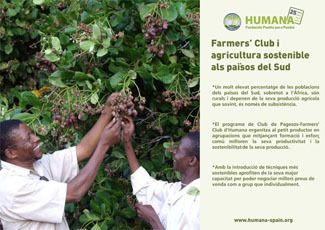 Part of Humana experience in projects of agriculture and food security in developing countries in the South to promote sustainable farming models in Catalonia between organizations also play a social work or because they specialize in organic production or because they work within the scope of exclusion. The Foundation organized on Friday, May 4 (19 pm, Room 9) organizes a small presentation of this program of social farming, with technical support and coordination of Dinamis. Humana's stand at the fair is the 447. About 40 people attended this presentation. Responsible consumption, recycling, saving and environmental protection are the cornerstones of this meeting, which will be represented segments of food and farming, green building and renewable energy and recycling clothing and footwear, among others.